Below are our Day 1 practice notes from South practice. Today's "winners" at practice were Buffalo QB Tyree Jackson, North Dakota State RB Bruce Anderson, South Carolina WR Deebo Samuel, LSU TE Foster Moreau, Mississippi State DE Montez Sweat, Texas A&M DT Daylon Mack, and Temple CB Rock Ya-Sin. -In cold weather and modest wind, Buffalo QB Tyree Jackson was the lone QB to truly impress. Still oft-timed with his receivers (to be expected on Day 1 and based off film), but he has shown the make-up arm talent to drive the ball downfield. Continued ball placement this week and he should be in the mix for a Day 2 selection. -Auburn's Jarrett Stidham flashed the arm talent upside in practice but really seemed off in timing. His touch and placement issues were on film, and after Day 1, may persist. He has a lot of room to emerge for NFL teams to be a viable developmental starter, but needs to impress more than this. 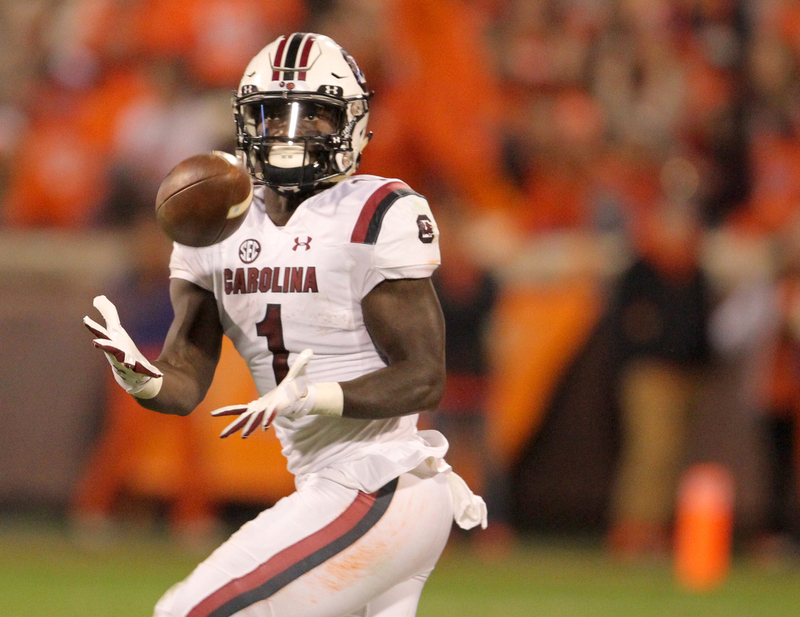 -South Carolina WR Deebo Samuel displayed outstanding kinesthetic sense and manipulating his body to make difficult catches look easy. Samuel is a fluid hands catcher and the ball makes very little noise when hitting his hands. Samuel also fielded punts along with Clemson WR Hunter Renfrow, who also had a solid day showing his refined route running and concentration catching the football. -Following Samuel, Buffalo WR Anthony Johnson continued his strong connection with Tyree Jackson and showed that he only needs an inch of separation to make a play, making an impressive catch in a tight window throw against Houston CB Isaiah Johnson. -While West Virginia WR David Sills is the bigger name in Mobile, it was teammate Gary Jennings that jumped out today. Jennings showed good versatility in his routes and made a tough contested catch on a comeback against Kentucky DB Mike Edwards along the sidelines. -The tight ends were a mixed bag with some up and down plays, but LSU's Foster Moreau was the most consistent of the bunch. Known more for is blocking prowess, Moreau's ability to catch the football against smaller defensive backs in drills was good to see. -There were no consistent standouts on the offensive line in Practice 1 for the South, but the player who was closest to being a consistent difference maker was Alabama State OT Tytus Howard. Howard’s hands were late, which caused him to repeatedly flash his recovery skills, but the rest of his game is sound. If he can fix that hole in his game, he may end up being the most valuable lineman in this game. -The offensive lineman who looked most out of place in Practice 1 was Oli Udoh of Elon. The combo of Udoh’s indecisive hands and clunky feet hurt him in one-on-ones in both the run game and pass protection today. -Mississippi State DE Montez Sweat looked the part of the most-hyped defensive lineman on the South squad in Practice 1. The long pass-rusher flashed his 36” arms in passing-rushing one-on-ones. After one rep, an NFL scout compared his game to former Pro Bowler Robert Quinn’s. -After Sweat, the big winner today on the defensive line was Texas A&M DT Daylon Mack, the former five-star nose tackle who was called up from the Shrine Game. Mack flashed a great first step and by far did the best in run game one-on-ones, winning the leverage battle every rep.
-Temple CB Rock Ya-Sin was one of the more fluid defensive backs in footwork drills and showed effortless transition and change of direction ability. Ya-Sin was also very natural in ball drills, looking like a wide receiver catching passes. 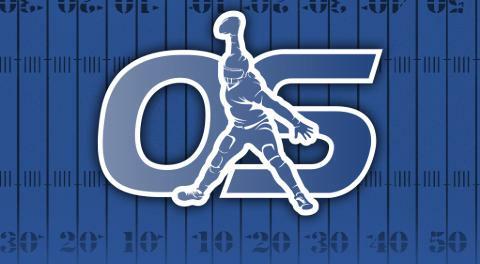 -It's great for a defensive back to have height and length, but it's an entirely different issue to know how to use it. Houston CB Isaiah Johnson is a long strider who gave up outside release to Deebo Samuel on a nine route, but showed impressive recovery speed to get back in-phase. Johnson also had a nice pass break up on a drag to David Sills where he used his long arms to stab at the football at the last possible second. -Measuring in at 5103 and 186, I had concern about Miami SAF Jaquan Johnson and how he would hold up in coverage against NFL caliber tight ends. Johnson struggled on a few reps keeping up with San Jose State TE Josh Oliver and this is something he will need to prove as the week progresses.